12 Strong: The Declassified True Story of the Horse Soldiers is an upcoming 2018 American epic war drama film which directed by Nicolai Fuglsig. The film is produced by Jerry Bruckheimer, Molly Smith, Thad Luckinbill and Trent Luckinbill and written by Ted Tally and Peter Craig. 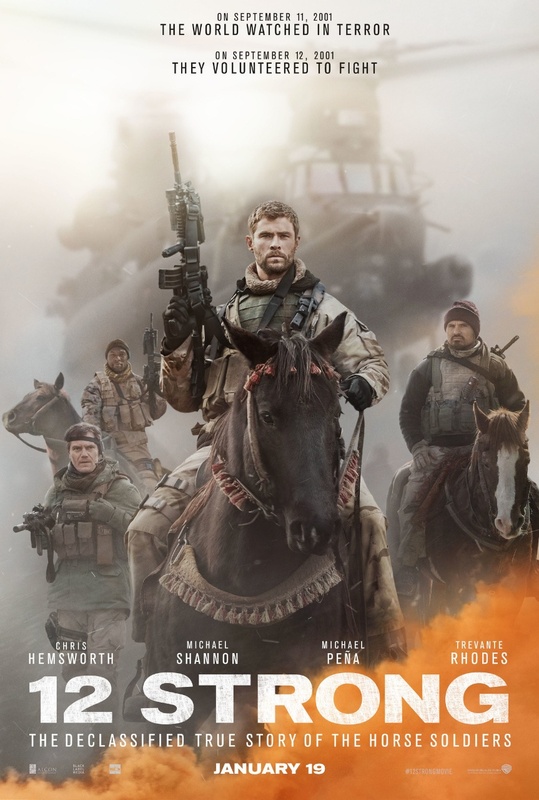 The film is based on Doug Stanton's non-fiction book Horse Soldiers. 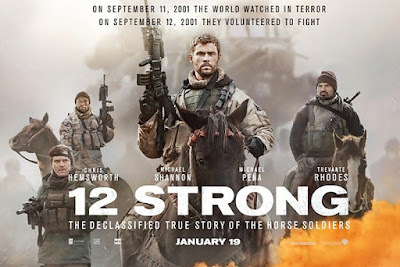 The film stars Chris Hemsworth, Michael Shannon, Michael Peña, Navid Negahban, Trevante Rhodes, Geoff Stults, Thad Luckinbill, William Fichtner, and Rob Riggle. 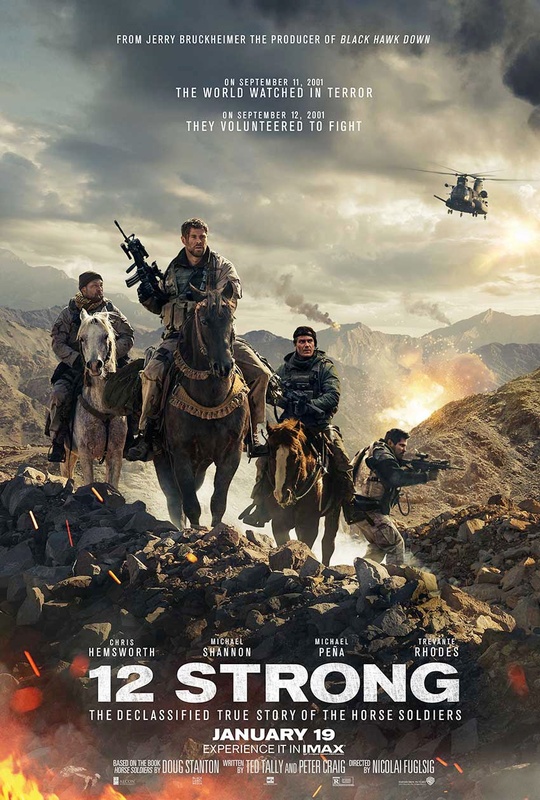 It is scheduled to be released in the United States on January 19, 2018, by Warner Bros. Pictures.